I am testing my online shop in the new version of Page Speed Insight and I have a question for you. How to solve the problem: Serve images in next-gen formats. I read that the best format is webp. How to convert images in oscommerce (on the fly) to webp format? .webp is a new format (essentially a new compression method) for images. They will probably transfer a bit faster (being smaller), and most major browsers now support the format. Is it worth the effort to convert? Who knows. It may well suffer the same fate as JPEG-2000... improved compression that got little support. When you say "convert on the fly", what exactly are you looking to do? You don't want to store your images as .png, .jpeg, etc. and then literally convert them as served to .webp -- that would slow things down considerably (the whole point of the exercise is to speed things up). You would want to use some utility to convert (in batch) your images to .webp, and then serve those like you currently serve other formats. Don't forget that anyone with older browsers (not Chrome, Edge, or Firefox current versions) is going to be left holding the bag when your site serves them .webp images that their browser can't handle. Are there any provisions in JS/CSS for selecting which type of image to call for? MrPhil Below I will give you an ideal solution that would suit me. This is a manual conversion tool. I want to automate all this. 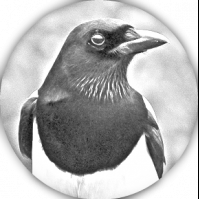 JcMagpie or does it require installation on the server? The first is a exicutabe to run on your pc to do conversion. The second is a PHP library . Which if used properly will do exactly what you asked for! convert and serve as required. "This library enables you to do webp conversion with PHP using cwebp, gd, imagick, ewww cloud converter or the open source wpc cloud converter. It also allows you to try a whole stack – useful if you do not have control over the environment, and simply want the library to do everything it can to convert the image to webp. In addition to converting, the library also has a method for serving converted images, and we have instructions here on how to set up a solution for automatically serving webp images to browsers that supports webp." or simply use @Hotclutch convertor to do it online. Or use this simple batch convertor! it's free. For example, I have a translucent banner measuring 1900 by 911 pixels. The image in png format is 577 kb, and in webp format is 128 kb. The banner consists of a slide show with three such images. On the banner alone I have a saving of over 1 MB. The images would be generated only once. Then the script would only check if a given image size exists. For example, the latest products. Thanks to the above script can pass the path to jpg or webp. I'm already writing the script myself. I need information from You where to find the file with the tep_image function. tep_image does not resize images, it only adds width and height parameters to the image tag. It does not serve a scaled version of the image to the browser, which is the best way to do it. The image in png format is 577 kb, and in webp format is 128 kb. The banner consists of a slide show with three such images. On the banner alone I have a saving of over 1 MB. The image size issue is purly one of image conversion, PNG is lossless compression so image files will be big. Done corectly a jpg will provide a much smaller image size. It will never be as small as webp as that can give upto 85% smaller files than jpg. However it is more important is to provide the corect physical size image to each device as required by the browser. You can simply install this add-ons that will do this for you automatically. Others are available. Please keep thread updated with the scripts progress as it would be intresting to see how it works and what difference it makes to a sites performance. It's intresting that this format has been around for some time now but not got much traction? Also a simpler method to consider is to simply serve the .webp files using a mod_rewrite! For those that wish to try and see what speed diferance is achived, simply take you existing image directory and use one of the conversion tools and convert all images to .webp. Make a new image directory to put these into and add the following redirect to your .htaccess file. You should test this on a test site first. It basicly looks to see if a .webp image is available and if browser can use it then this is what is used first, if its not then the jpg or png is used instead. Will be intresting what speed improvments are seen. Browsers from Microsofft do not support webp files. And here with htaccess may be a problem. I like your solution :). It's easier to rebuild a ready module than to write something from the beginning.